Over the past decade antiquing has gained popularity. Antique stores are found in most towns, making visits a favorite pastime of many. Similarly, there are TV shows based around the search for rare finds. Safes are always an exciting, hard to find item. If you are lucky enough to come across this item, chances are it will need TLC. Antique safe restoration is a delicate process as maintaining the original integrity is vital. Careful disassembly of the unit is required so a throughout cleaning may occur. Removal of door will make pressure washing an easier task. Once the panel door is removed, you can focus on the locking mechanism. Most important, take photos at this step. It is imperative that you know how to put the lock back together once it has been dismantled. Even if you are a professional locksmith, you are dealing with an antique safe that could be very different than what you are accustomed to handling. By removing old grease and flaking paint, the safe will be ready for finishing later on. Power washing the outside of the safe may prove to be the most effective method. However, you should always take into consideration the uniqueness of the unit. A de-greasing agent can be used, but sometimes there will be stubborn areas that require scrubbing with a wire brush. It is best to perform the cleaning process in an area that will allow for quick drying. Ideally, cleaning the safe outdoors in a sunny location is most suitable. Thus avoiding future rust from occurring. Now that the safe has been cleaned, scrubbed, and thoroughly dried, you can begin sanding. By sanding the safe, you can create a new shiny finish. Always start with the softest sander available moving towards more course options if needed. Although this step can be time-consuming, it’s essential to avoid scratching the safe. Once this is complete, a second wash is required to remove dust. Now onto the aesthetics. The safe may require several coats of paint to achieve your desired look. A combination of gloss and flat paints may be used for the exterior and the interior. Some antique safes have gold leaf lettering which requires time and expertise to properly restore. More likely than not, if you find an antique safe in your possession, the combination has long been missing. It’s imperative not to close the door when reassembling the lock. Using your photographs as reference, you can find many guides online to solving the lock combination. Once you are confident in reassembly and combinations, you can test it. 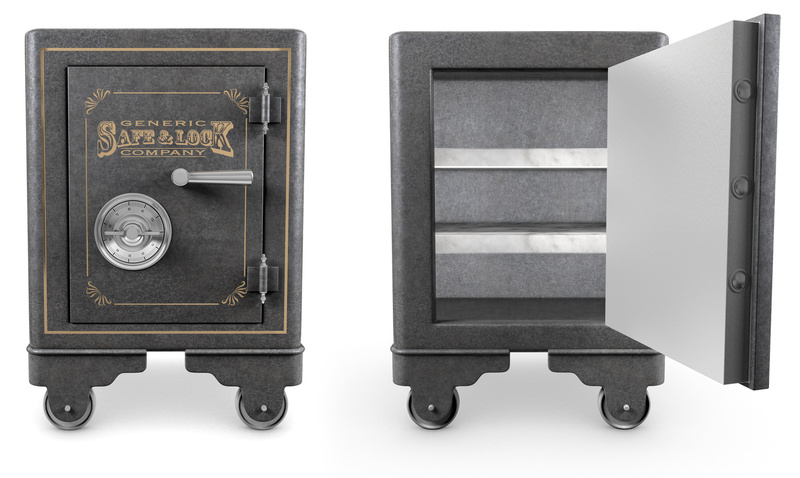 With over one hundred years of experience, Hayden Safe & Lock are your local experts in antique safe restoration. Servicing the North Shore and surrounding areas, Hayden Safe & Lock can help with all of your locksmith needs. Contact them today for guidance on safe restoration (978) 744-0988.